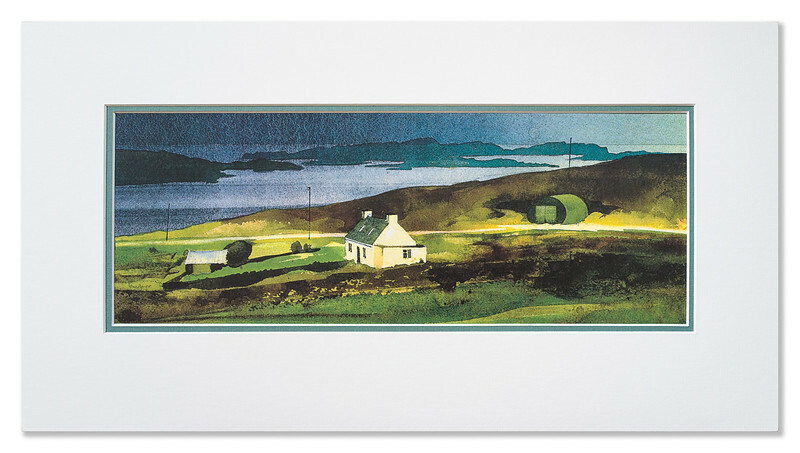 Now retired, Ian was renowned for his ability to capture the atmospheric beauty of the landscape of Wester Ross in northern Scotland. 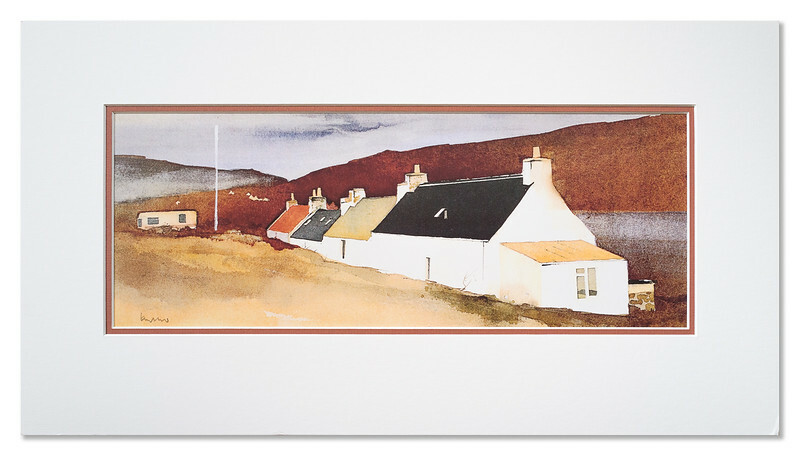 Often his paintings feature isolated crofthouses with a moody backdrop of looming mountains by idyllic loch shores. 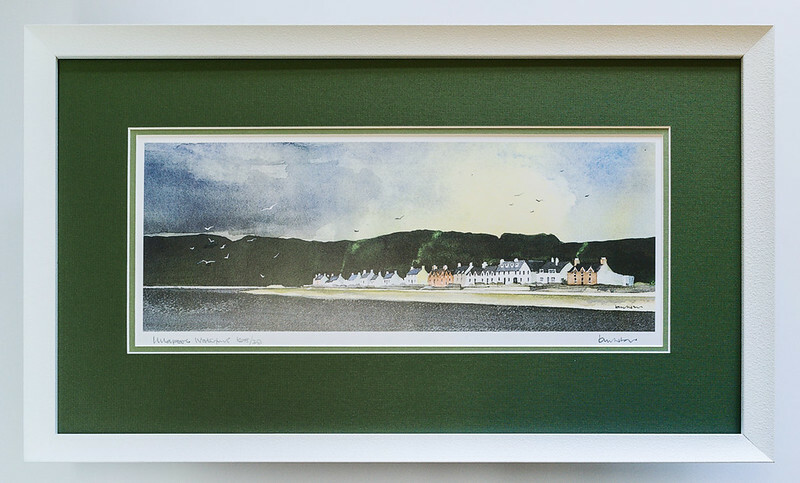 Bold and atmospheric, they perfectly capture the dramatic coastal scenery of Wester Ross as in the artwork shown below. Note that if you want to see any the artworks on this page in a larger size just click on the image. 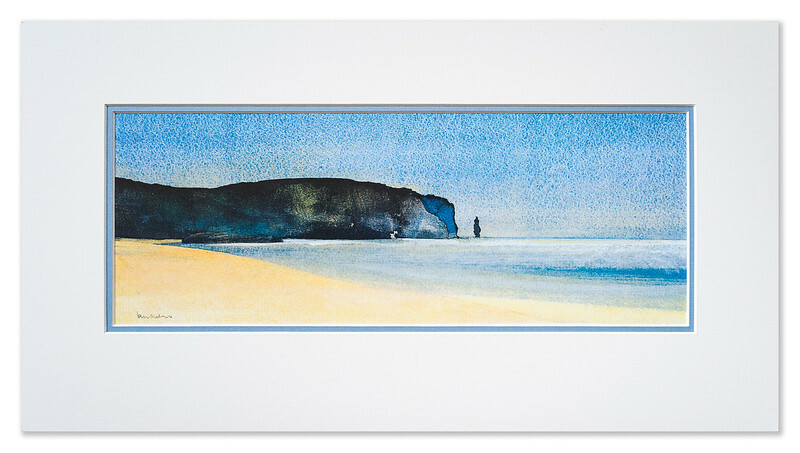 We are able to offer some of his works as prints while stocks last. Details about how to order are given below in the section below entitled 'Prints For Sale'. Initially Ian trained at Durham University in the Department of Architecture and practised as an architect until 1986. 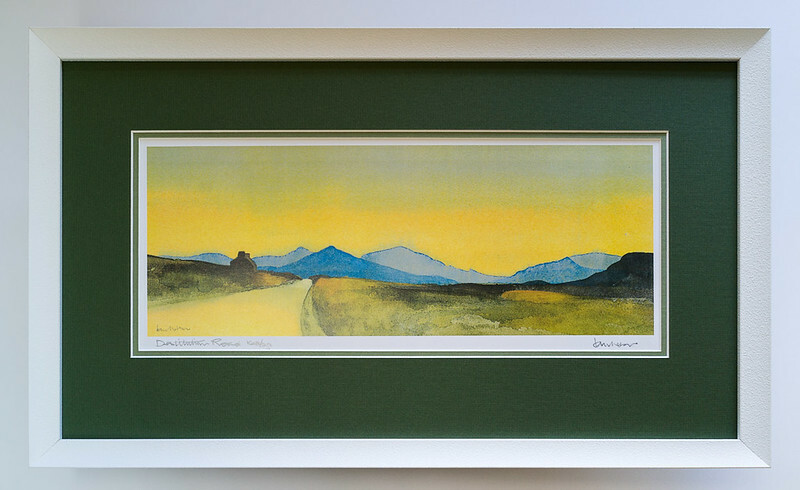 However, he always had a strong urge to paint but it wasn't until he moved to the Lake District, after getting married again and giving up architecture, that he finally had time to put paint on paper. 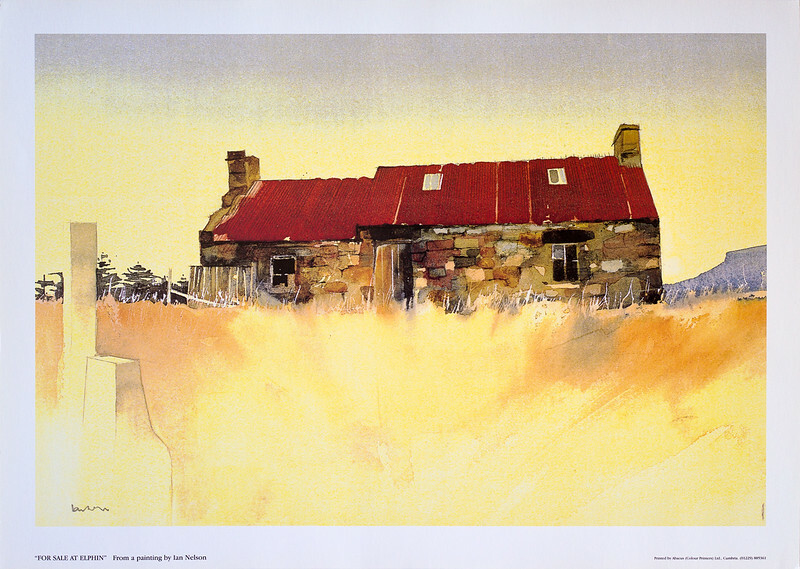 Ian sometimes used ink and gouache in his paintings too. This was in order to achieve the strong colours and effects he desired as shown in the paintings in this article. As soon as he allowed his pictures to go on sale in the Lake District, they sold. 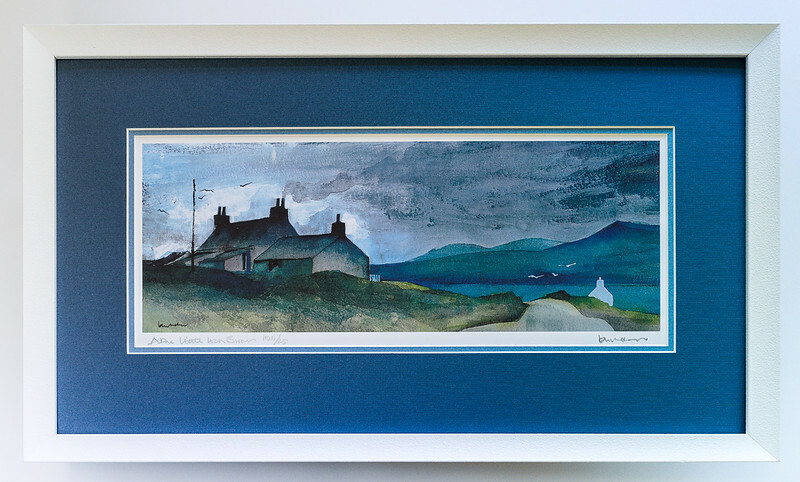 But Ian knew he wanted to paint the wonderfully dramatic landscapes that the scenery in Scotland offered rather than the very pretty and popular Lakeland views that were already extensively covered by many well-known artists. 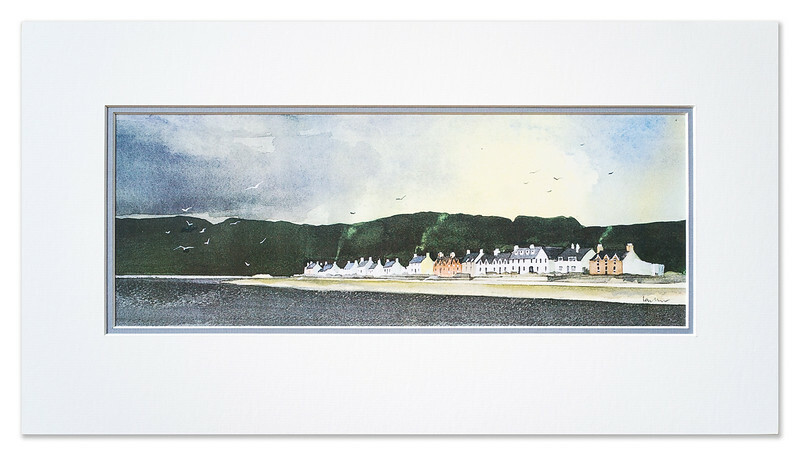 One of the reasons therefore for moving to Wester Ross was to give Ian the opportunity to depict these landscapes. He soon found that his style worked well with the tremendous variety of weather conditions that prevail here! 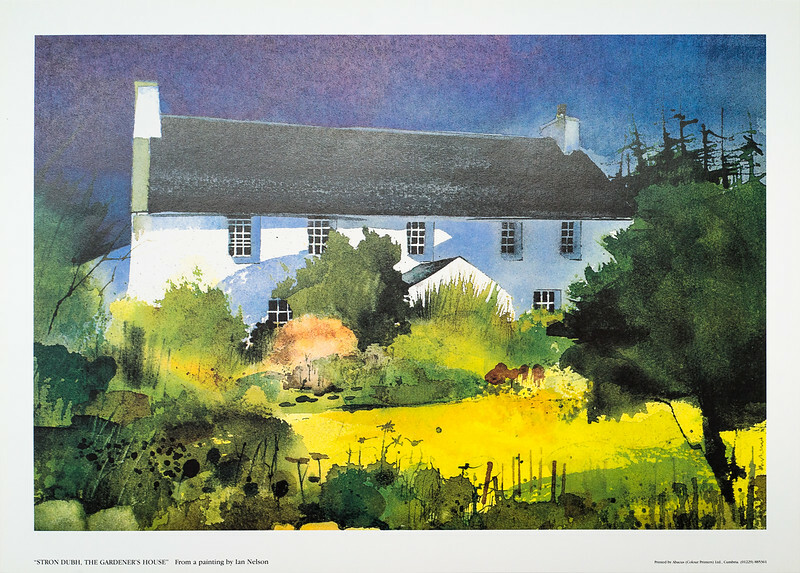 His architectural background allowed his depiction of traditional crofthouses in the landscape to be perfectly captured. Ian is now retired and is not producing any new work. However, a few of his prints are still available. They are signed on the image only. Each artwork shows the title of the image, confirms Ian Nelson as the artist and displays the name of the printer along the bottom of the print. The prints are being sold at £45 or £55 each and this includes postage and packing to any UK address. The prints which are currently available are illustrated below. 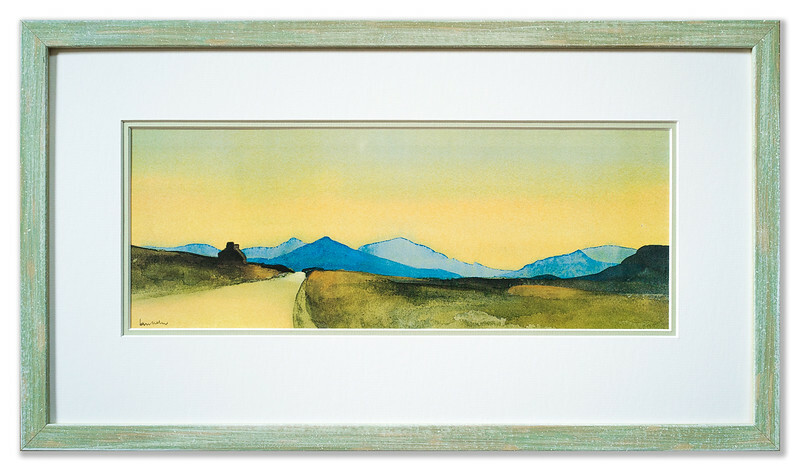 There are two sizes of prints, panoramic and traditional. Panoramic is produced with an image size of 405mm x 152mm and an overall size of 442mm x 195mm. Traditional is produced with an image size of 412mm x 276mm and an overall size of 452mm x 320mm. 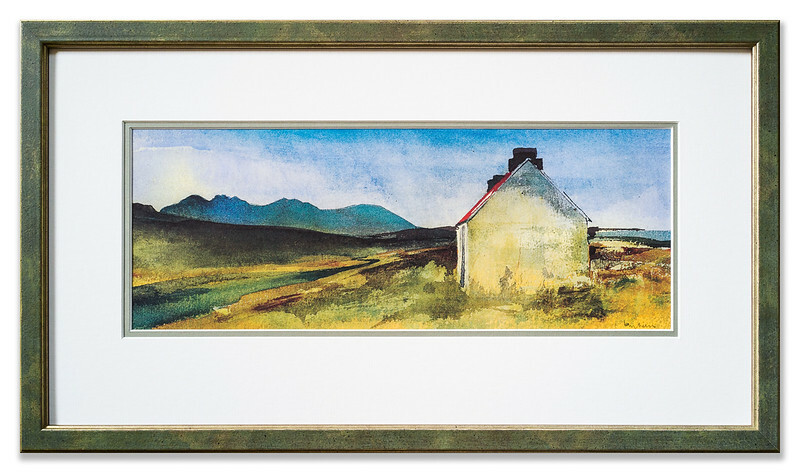 Picture Framing for You, South Most Cottage, Contin, Strathpeffer, Ross-shire IV14 9ES. If you have any queries you can email us via our contact page, thank you.